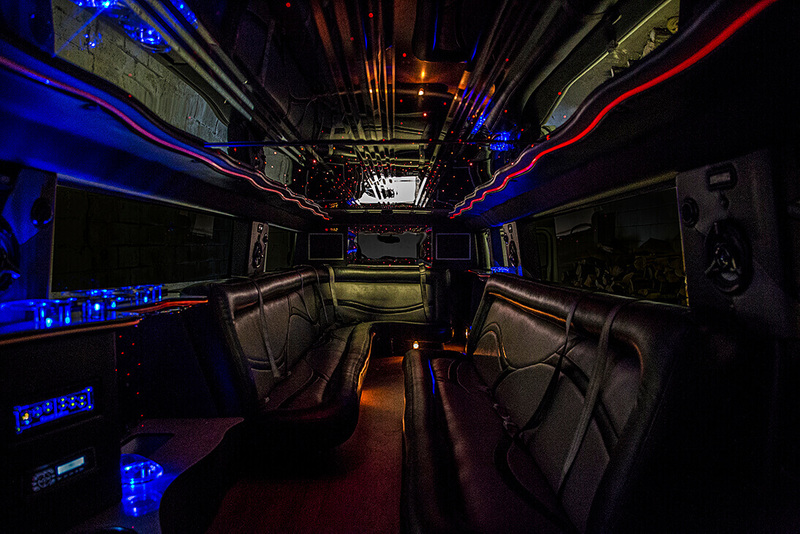 Our 18-Passenger Hummer Stretch Limousine is not only a beautiful vehicle on the outside, it is also completely decked-out in its interior! 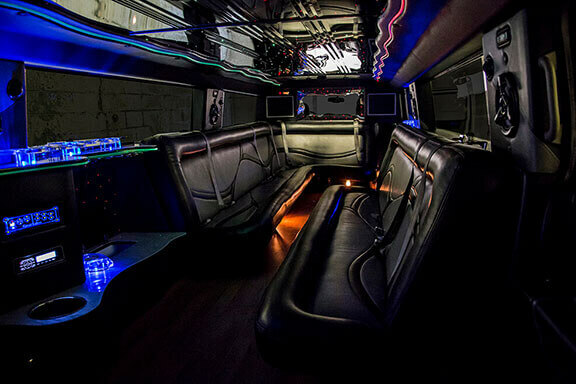 You have all-leather seating that is very plush and comfortable, a loud and clear sound system, color-changing lights, wood floors, two LCD High Definition Televisions, built-in drink coolers, a mirrored ceiling and dark limousine tinting throughout. We call this a very "versatile limo" because it not only accompanies large parties but it also has all of the fun of a large Boulder Party Bus with sleek outer styling and class! At Columbus Limousines we pride ourselves on excellent customer service, having the most versatile and amenity-possessing vehicles available and keeping our rates as low as possible. © 2017 Columbus Limousines. All Rights Reserved.